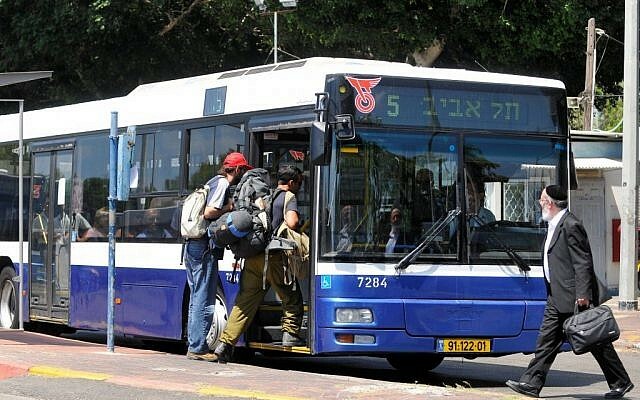 Four lawmakers from ultra-Orthodox parties on Monday asked the Transportation Ministry to cancel permits allowing some Israeli cities to operate bus services on Saturdays, an activity that is considered a transgression of Shabbat, the Jewish day of rest. MKs Michael Michaeli and Yoav Ben-Tzur of the Shas party, along with MKs Uri Maklev and Yisrael Eichler of United Torah Judaism, sent a letter to Transportation Ministry Director General Keren Turner urging her to withdraw the permits granted to the Metropoline and Dan Public Transportation companies in the cities of Holon, Ramat Hasharon, and Herzliya. The development came a day after the cabinet suspended a plan it had previously approved for a pluralistic prayer area at the Western Wall. The plan would have seen the establishment of a properly prepared pavilion for pluralistic prayer — as opposed to current temporary arrangements — under joint oversight involving representatives of all major streams of Judaism. The decision to cancel the deal was lambasted by the opposition and representatives of Diaspora Jewry as well as coalition faction Yisrael Beytenu and members of the Kulanu party, which is also in the government. The ultra-Orthodox MKs, who asked that Turner also bring the letter to the attention of Transportation Minister Yisrael Katz, pointed to a regulation enabling the minister to reduce transport out of respect for the sanctity of Shabbat and religious festivals. 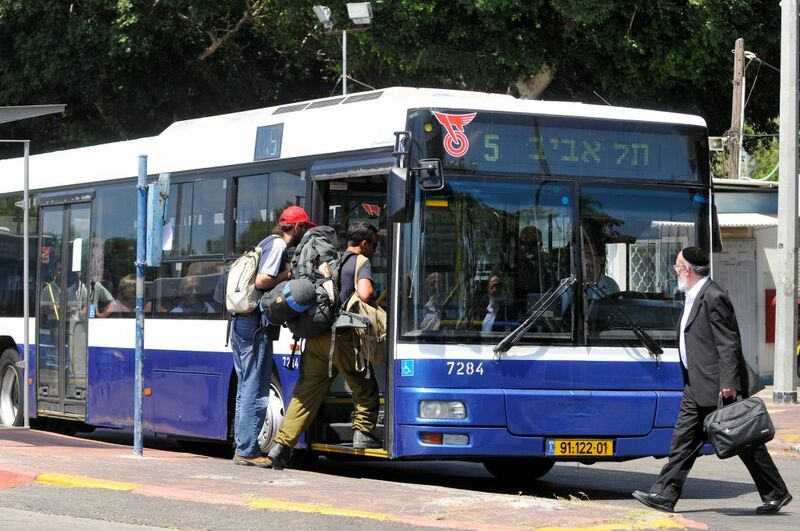 They also asked for an update on a probe into the operation of two private bus lines in Jerusalem and queried if evidence was being gathered for the purpose of filing indictments against the operators. The Hebrew-language daily Haaretz reported that the leader of the Shas party, Interior Minister Aryeh Deri, on Monday asked the High Court of Justice to reexamine permits allowing some Tel Aviv mini-markets to operate on Shabbat. In April, the High Court ruled in favor of Tel Aviv’s battle to expand facilities open to the secular public on Shabbat, saying that the municipality can permit mini-markets to operate on the Jewish day of rest. Tel Aviv, home to a mostly secular population, has sought to widen the scope of businesses allowed to be open on Shabbat, while ultra-Orthodox political factions have sought to add restrictions and improve enforcement of Shabbat laws.